Tithe Bank Cottage is an immaculately presented detached property built for its current owners and situated in a lovely secluded part of the village of Churchstow, benefitting from parking and a garden. Churchstow is a popular village being close to Kingsbridge and yet having a village community with pub, shop and church. 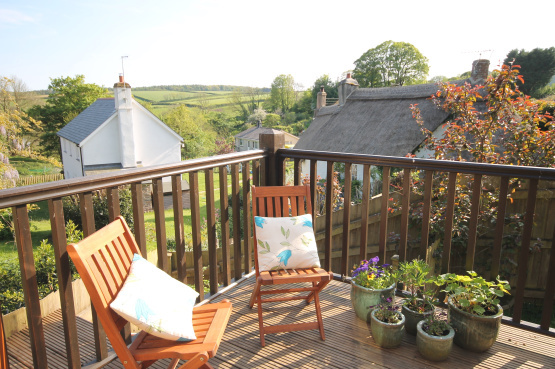 Churchstow is located close to some of the best beaches in the South Hams, including Bantham and Thurlestone, dramatic walks on the South Devon Coast Path, and conveniently close to the thriving market town of Kingsbridge, offering a good range of shopping and leisure facilities. Tithe Bank Cottage is a detached stone built property providing a convenient location yet with delightful aspects. The cottage has been built to a high specification, vaulted ceilings and exposed timbers throughout the upstairs living areas enhance the sympathetic feel, and it also has an NHBC Certificate. The property also benefits from a low maintenance garden with a lawned area and timber deck accessed from the living room and would make an ideal holiday let/investment opportunity or equally suitable as a lock up and leave second home. Tithe Bank Cottage was featured in Channel 4’s property lifestyle show, ‘A Place in The Sun’. Tithe Bank Cottage is offered for sale and invites offers in excess of £325,000. For further information, please contact Marchand Petit’s Kingsbridge office on 01548 87857588.